Hostmysite.com :: How do I set up an email filter for my mail account? 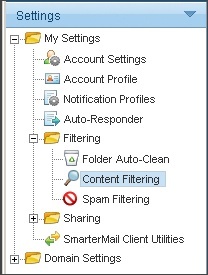 How do I set up an email filter for my mail account? 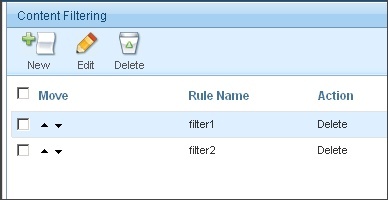 The following article explains how to set up email filters for your mail account. 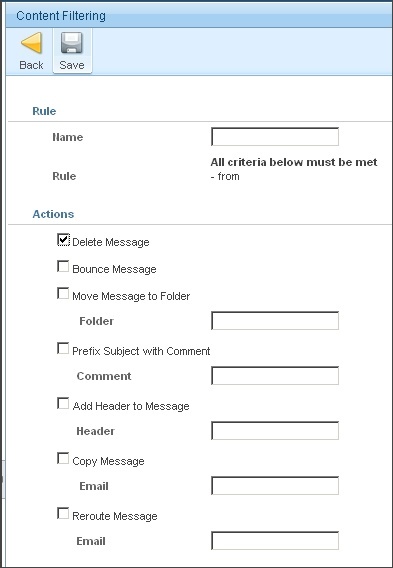 Email filters, known as Content Filters in SmarterMail, are used to perform specific actions on emails that meet certain criteria. 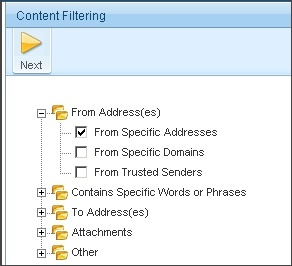 Filtering is most commonly used to remove emails that are considered Spam, but they can also be used to process legitimate emails. Note: If you wish to create a content filter that affects all email accounts in your domain, instructions can be found here. 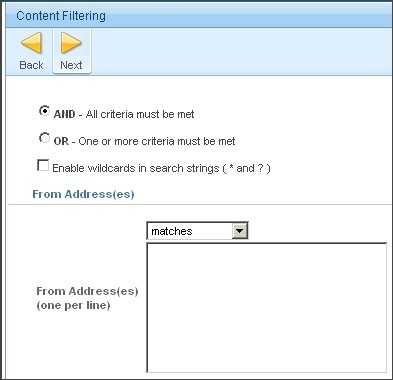 Expand Filtering and click Content Filtering.